Glas-Steel Furniture Industry Co., Ltd. Wooden TV stand Material: MDF+veneer Color: black Ship KD. Size: 2000*480*450 Packing size : 2400*520*490 top & bottom wood. Ningbo Haishu Universe Brilliant Houseware Co., Ltd.
Tempering glass with aluminium column, the glass can be any color, we using screen printing to put on color. The glass can be any shape we have the waterjet. Individual package for each product. Heze Fangtai Wood Co. Ltd.
Quick details Type:living room furniture , specific use:tv stand , general use: home furniture Materail:wooden , wood style: panel , panel type:mdf Appearance:morden , size:1100*540*780mm place of origin :shandong china (mainland ) Brand name:fangtai material :mdf color:as client's demand , unit;pc Finishing:painting instruction :k/d style:modern delivery time :45days after deposit Moq:one 20ft package:standard export carton. Specifications; 1.Wooden tv table , tv rack , yv desk 2.Made of high quality mdf(e1) 3.Pure handmade craft 4.For home and hotel 5.Oem /odm is available 6.Competitive pricing , reliable delivery 7.100% quality inspection from material selection , painting safety to package in the production line. Packing & delivery Packaging details ;standard export carton Delivery time :45days. Short on time? Let tv-stand sellers contact you. Rical Displays Equipment Co., Ltd. Features: * This flat TV stand is perfect for use at trade shows, retail stores, and offices.This LCD mount is manufactured from MDF and aluminum to withstand high traffic areas as well as managing to hold your Samsung or any other brand that is compatible. * An LCD stand, included that allow you to hide wires along the back of the stand to help keep them out of view.This flat TV stand has a large, rounded base that provides the display with stability, perfect for use in areas with heavy traffic.This flat TV stand is shipped unassembled to keep shipping costs lower, and can easily be put together in a few minutes with only simple tools required. Material: High-strength aluminium alloy High-density MDF Dimension: 800*600*1850mm (silver / black) Screen Size: Flat TV Stand holds 42" to 72" plasma or LCD television Configuration Connect column(1sets), base(1pcs), rails+bracket(1sets), assembly screw(1sets), high quality carrying bag(1pcs). Package: Volume: 930*100*630mm Gross weight: 20.5kg Net weight: 18.2kg. 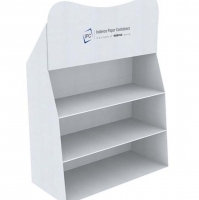 Features * Monitor stands, plasma stands, and other LCD TV stands are perfect for retail store, office, trade show, and conference room use. These 50" LCD TV stands are designed to hold a 21-1/2" x 60" poster. A non-glare lens is included to keep your poster visible as well as protected. LCD TV stands come with a bracket for holding a 42" to 72" TV, weighing up to 80 lbs. VESA brackets are designed with manufacturers to fit most televisions, and include hardware to mount your plasma or 50" LCD TV, though some may require specific screws you can purchase at any hardware store. * LCD TV stands have an adjustable bracket that allows you to display your television horizontally or vertically. This bracket also allows you to change the height a plasma or LCD television is displayed to provide the best view. These plasma stands, LCD TV stands are shipped unassembled to keep shipping costs lower, and are easily put together using simple tools in a few minutes. Please Note : Graphic is not included with LCD TV stands. When designing your images, keep in mind actual graphic size is 21-1/2"wx 60"h, where 1/2" on each side is covered. Your graphics should be printed on regular poster paper, so as to ensure they will fit securely within the grooves. This will not be a problem for any printing service facility. Material: High-strength aluminium alloy High-density MDF PVC Poster Dimension: 900*600*1850mm (silver / black) Screen Size: Flat TV Stand holds 42" to 72" plasma or LCD television Poster Size:1500*550mm. Configuration: Connect column(1sets), base(1pcs), rails+bracket(1sets), assembly screw(1sets), high quality carrying bag(1pcs). Package: Volume: 930*100*630mm Gross weight: 22.5kg Net weight: 20.8kg. Ningbo Somle Audio-visual Techology Co., Ltd.
1. Tempered glass with CE(BS6206A) approved. 2. Aluminum legs 3. Powder coated with high gloss finish 4. Product Size: 1200x440x500mm 5. Package: Carton box. 20GP:300 40GP:615 40HQ:772. Modern design tempered glass tv stand xyts-211 Tempered glass with aluminum leg Size: 600x450x630mm Thickness of glass: 6/5/5mm Cuf: 0.014m3 20ft container loading pcs:2300pcs Kraft carton packing. Tv stand yv-603w Squear tubeú¦20*20mmú¼20*40mm, 20*50mm;black tempered glass:t=6, 6, 6mm;woodú¦t=30mm;black powder coated metal. Product size: 1260*525*1320ú+carton size: 1320*560*152ú+volume: 0.11 cbm ú+20gp:254 pcs, 40gp:540 pcs, 40hq:612 pcs ú+up to 50"